While you are free to use any archive or collection for your digital archive and exhibit, see this list of collections suggested by the staff of local archives and historical groups. I have met with staff at these repositories who know about the class project and have provided their policies on digitizing materials below. Check ArchivesGrid for collections on Greenwich Village. Contact: I have not heard back from this archive yet. Joan McClure Papers Joan McClure was a resident of the West Village in New York City for more than sixty years and active in many local civic and social issues. She was closely involved in the planning for the Westway highway along the Hudson River, the creation of a landscaped traffic island at Abbingdon Square, and the founding of the Village Halloween Parade. Finding Aid http://www.columbia.edu/cu/lweb/archival/collections/ldpd_6636546/ Digitization Contact Archives for details. Jefferson Market Courthouse renovation The Jefferson Market Courthouse in Greenwich Village, New York City, was designed by Vaux and Withers in 1877. Cavaglieri renovated the building to become a branch of the New York Public Library; the renovation was completed in 1967. This collection includes Giorgio Cavaglieri's preliminary studies, working drawings, presentation drawings, and specifications, circa 1962-1965, for his renovation of the Jefferson Market Courthouse into a library. Also, prints of drawings, 1876, by Vaux and Withers for the original building, and drawings, circa 1918-1940, for alterations. See also the Giorgio Cavaglieri architectural records and papers, 1934-2005 (bulk 1960-2005) Finding Aid http://www.columbia.edu/cu/lweb/archival/collections/ldpd_3460626/ Digitization Contact Archives for details. University Place Book Shop records, 1930-1994. This collection consists of correspondence, invoices, appraisals, and other business records of the University Place Book Shop and proprietor Walter Goldwater. Also included are correspondence and photographs relating to Goldwater's participation in the chess community and the Marshall Chess Club in New York City. Finding Aid http://findingaids.cul.columbia.edu/ead/nnc-rb/ldpd_4079884/ Digitization Digital photographs may be taken at the archive; other arrangements can be made with Digital Services at Columbia. Gregory Corso Papers 1949-1996. Includes published and unpublished writings, artwork, correspondence, and sound recordings created by or related to the Beat poet Gregory Corso. Finding Aid http://findingaids.cul.columbia.edu/ead/nnc-rb/ldpd_4078654/summary Digitization Digital photographs may be taken at the archive; other arrangements can be made with Digital Services at Columbia. Bobst Library, 70 Washington Square South, 3rd floor, 212-998-2596. Appointments to view materials must be made at least 48 hours in advance to guarantee that off-site materials will be available for study. Contact: ude.uyn|yrarbil.selaf#ude.uyn|yrarbil.selaf for an appointment. Fales Manuscript Collection The Fales Manuscript collection is made up of some 50,000 items and was assembled by DeCoursey Fales from 1908-1966 and donated to NYU. The collection consists of correspondence, manuscripts, drawings, photographs, realia, ephemera, and other materials primarily about English and American authors from 1700 to the present. There are special stregnths in the Victorian, Edwardian, English 1890s, and Transition Period writers. Of particular interest to the class are Joe Gould's notebooks (in box 71). Finding Aid: [http://dlib.nyu.edu/findingaids/html/fales/fales_man.html] Digitization: Copyright permission must be secured before digitizing Items can be scanned at the NYU Image Lab. Downtown Collection The Downtown Collection, which began in 1993, is such an attempt to document the downtown arts scene that evolved in SoHo and the Lower East Side during the 1970’s through the early 1990’s. Staff suggest the Andrea Callard Papers, the Joe Campbell Collection of Dorothy Dean Letters, the Tim Dlugos Papers, the Richard Hell Papers, the Gary Indiana Papers, the Ron Kolm Papers, the Mendez Mural Community Garden Collection, the April Palmieri Collection, the Terrence Sellars Collection, the Stuart Sherman Papers, and the David Wojnarowicz Papers. Digitization: ** **Copyright permission must be secured before digitizing. Contact Fales for information on copyright holders. Items can be scanned at the NYU Image Lab. Knox Burger Archive Knox Burger is an editor, writer and journalist living in New York City. While serving in World War II, Burger contributed to Yank, and then after the war to such publications as: Collier's. He then moved on to editing for Dell and Fawcett Publications. In 1970, he founded Knox Burger and Associates, a literary agency which later merged with the Harold Ober agency. The collection consists of Burger's correspondence from the late 1960's through 2000. Finding Aid: http://dlib.nyu.edu/findingaids/html/fales/burger.html Digitization: Copyright permission must be secured before digitizing. Contact Fales for information on copyright holders. Items can be scanned at the NYU Image Lab. Coleman Dow Papers (Robert) Coleman Dowell (1925-1985) was a composer, lyricist, poet, playwright, novelist, and critic. He corresponded with many famous authors and well-known personalities from the early 1960's through 1984. The collection includes correspondence, original sheet music composed by Dowell for television and Broadway musicals during his early years in New York City, photographs, and manuscripts of published and unpublished novels, poetry, short fiction, and plays. Finding Aid: [http://dlib.nyu.edu/findingaids/html/fales/dowell.html] Digitization: ** **Copyright permission must be secured before digitizing. Contact Fales for information on copyright holders. Items can be scanned at the NYU Image Lab. Judson Memorial Church Archive The Judson Memorial Church's (Washington Square, New York, New York) archive spans nearly two centuries (1839-2001). During that time, it has been a center of worship and of social activism such as: civil rights, anti-war, reproductive rights, and the women's movement. In addition, it became a center for avant-garde art ranging from its role in the artistic revolt against Abstract Expressionism, to postmodern dance at the Judson Dance Theater, to the Judson Poets Theater. These aspects are documented in the papers, photographs, and other materials that comprise the collection. Items include various church records and meeting minutes, as well as materials regarding such artists as: Claus Oldenburg, Jim Dine, Lucinda Childs, Yvonne Rainer, Nam June Paik, Robert Rauschenberg, Yoko Ono, Meredith Monk, and many others. Finding Aid: [http://dlib.nyu.edu/findingaids/html/fales/judson.html] Digitization: Copyright permission must be secured before digitizing. Contact Fales for information on copyright holders. Items can be scanned at the NYU Image Lab. The Pleiades Club| The Pleiades Club was a Greenwich Village literary society of the early 20th century. Howard Neiman was a member of the Board of Governors throughout the Club's history, and served in other posts at the Club. The collection includes Neiman's club correspondence and printed items which illuminate aspects of the literary and artistic life of the Village of that time. Finding Aid: [http://dlib.nyu.edu/findingaids/html/fales/pleiades.html] Digitization: Copyright permission must be secured before digitizing. Contact Fales for information on copyright holders. Items can be scanned at the NYU Image Lab. Waterfront Image Collection In the early 1980s, the Greenwich Village Society for Historic Preservation was formed to help research and advocate for Greenwich Village landmark districting along the waterfront. This area had been left out of the original Greenwich Village Historic District. GVSHP undertook extensive research from 1987 through 1988 and published a record of architecture of the Waterfront in 1989. The color images in this collection were gathered for research purposes and for publication in the book. Landmarking for portions of these areas was achieved through the creation of several districts, the Gansevoort Market area in 2003, the Greenwich Village Historic District Extension in 2006, and the Weehawken Street District in 2006. Because so much time elapsed in between landmark designation and the 1980s survey photographs, much of the area’s built environment changed and the photos provide an interesting look at the waterfront at the time. Finding Aid: no finding aid online Digitization: GVSHP owns images, scanning can be arranged on premises. Jefferson Market Courthouse / Library Archive, 1800's - present The archive contains 11 boxes of papers, images and ephemera documenting community efforts to restore the historic Jefferson Market Courthouse and convert it into a Library. Also 7 boxes of material on Greenwich Village and Manhattan history, including a run of the weekly periodical The Villager, 1999 - present. Includes documentation of community efforts to restore the historic courthouse building, convert it into a Library and maintain the building's architectural integrity. With correspondence, notebooks, surveys, budgets, publicity material, photographs, slides, artist's renderings, illustrated cards, technical drawings, pamphlets and clippings. (11 boxes) Also contains Records of Greenwich Village history, 1889-present. Includes files recording the local community's successful efforts to designate the Village as a historic district. With memos, maps, photographs, illustrated cards and ephemera. Also includes The Villager, a weekly periodical, running from 1999-present. (3 boxes) and Records of New York City, 1800's-2004. Includes budgets, photographs, ephemera, and bibliographies. (4 boxes) Finding Aid Digitization Policy: Contact archive. Regina Kellerman Papers Regina Kellerman (1923-2009) was an architectural historian who served as an early director of research for the New York Landmarks Preservation Commission, and later become the founder and first director of the Greenwich Village Society for Historic Preservation. Her pioneering research, both in New York and the Netherlands, led to her correctly identifying the location of New York City's first City Hall, a conclusion borne out by the subsequent excavation of the site during the early 1970s. The collection covers Kellerman's career as an architectural historian and preservationist and includes correspondence, reports and notes, architectural drawings and plans, and photographs and slides which she generated and gathered in the course of her investigation of buildings, sites and neighborhoods located in New York City and the surrounding area. Finding aid: http://www.nypl.org/sites/default/files/archivalcollections/pdf/18777.pdf Digitization: Digital photographs can be made of images by permission of the archivist. Check finding aid for permission information. Harold Edelman collection on Greenwich Village, 1957-1967 Harold Edelman (1924-1999) was an architect and preservationist who worked to retain the character of sites in Greenwich Village and surrounding areas. The Harold Edelman papers (1957-1967) contain architectural drawings, notes and reports from Edelmań⁰9Сs firm relatingto studies undertaken in the Greenwich Village area and the rehabilitation of Washington Square Park. Finding aid: http://www.nypl.org/archives/115055 Digitization: Digital photographs can be made of images by permission of the archivist. Check finding aid for permission information. Association of Village Homeowners Records, 1960-2003 The Association of Village Homeowners was formed in 1960 in response to new construction, supporting protection andlong-term regulation of the Greenwich Village neighborhood. The Association of Village Homeowners records document the changing concerns of the Greenwich Village neighborhood from 1960 to 2003. Finding Aid: http://www.nypl.org/archives/113088 Digitization Digital photographs can be made of images by permission of the archivist. Check finding aid for permission information. Village Committee for the Jefferson Market Area records, 1969-2001 The Village Committee for the Jefferson Market Area is a nonprofit community organization responsible for the maintenance and development of the Jefferson Market Gardenin the Greenwich Village neighborhood of New York City. The records of the Committee, including correspondence, meeting minutes, fundraising files, financial records, planting maps, photographs, and press releases document the efforts of community activists to have the site of theformer Women's House of Detention used for a community garden, to raise funds for the support of the garden, and to attract volunteers to maintain and develop it. Finding Aid: http://www.nypl.org/archives/123446 Digitization Digital photographs can be made of images by permission of the archivist. Check finding aid for permission information. Carol Greitzer Papers The Carol Greitzer Papers contain correspondence regardingbus traffic on Washington Square; clippings on the proposed demolition of residences in preparation for the construction of the New School; correspondence and preliminary architectural drawings for the construction ofa plaza at Sheridan Square; and a notice for the 1st annual Greenwich Village Craftsmen's Fair. Materials range in date from 1962 to 1969. Carol Greitzer served as a New York City council member from 1969 to 1991, primarily representing Greenwich Village. Finding Aid: http://www.nypl.org/archives/113298 Digitization Digital photographs can be made of images by permission of the archivist. Check finding aid for permission information. Pierre Epstein collection on Abingdon Square The Abingdon Square Collection contains information about the development of Abingdon Square, reminiscences of area residents regarding the square, and correspondence and flyers regarding proposed alterations to traffic flow in the area. An early article about the square dates from 1929, the remainder of the materials are dated between 1958 and 1981. Abingdon Square Park, created in 1836, is located in Greenwich Village in New York City, and is one of the City's oldest parks. Finding Aid: http://www.nypl.org/archives/113299 Digitization Digital photographs can be made of images by permission of the archivist. Check finding aid for permission information. Mary Britton Miller papers, ca. 1947-1974. Mary Britton Miller (1883-1975) was a novelist and poet who wrote under the name of Isabel Bolton. She lived in New York City for most of her adult life and at one time was a volunteer social worker in Greenwich Village. Finding Aid: http://www.nypl.org/sites/default/files/archivalcollections/pdf/millerm.pdf Digitization Digital photographs can be made of images by permission of the archivist. Check finding aid for permission information. James Oppenheim Collection Oppenheim (1882-1932), an American poet, novelist and editor, was a member of the bohemian circle of poets, artists and intellectuals that flourished in Greenwich Village, New York, during the 1910s. He began his career writing short stories and poetry for popular magazines andestablished himself as one of the leading younger poets with the publication of his verse collection Songs for the New Age (1914). In 1916 he founded the literary magazine The Seven Arts with Waldo Frank and Paul Rosenfeld; the magazine folded the next year because of the editorial policy attacking U.S. participation in World War I. Oppenheim became an adherent of psychoanalysis, in particular the theories of Carl Jung, and devoted most of his later poetic work to psychoanalytic investigations. Finding Aid http://www.nypl.org/sites/default/files/archivalcollections/pdf/oppenheimerj.pdf Digitization Digital photographs can be made of images by permission of the archivist. Check finding aid for permission information. People with Aids Coalition Records, 1981-1993 The People with AIDS Coalition (PWAC) was founded in New York City in 1985 by a group of nine people who had contracted AIDS. The founders were inspired by the Denver Principles, a manifesto adopted in 1983 by PWAs at the National Lesbian and Gay Health Conference held in Denver. The Denver Principles proclaimed the need for self-empowerment and self-reliance by PWAs as well as the necessity of their taking an active role in the formulation of decisions affecting their lives. During thealmost eight years of its corporate existence PWAC became the largest self-help organization of people living with AIDS/HIV in America. Projects developed by PWAC include the Community Research Initiative (CRI), a network of medical doctors and patients who undertook their own drug studies; the People With AIDS Health Group, a not-for-profit buyer's club set up to provide easier access to drugs and other therapeutic substances difficult to obtain; a national telephone hotline; and a newsletter. Finding Aid http://www.nypl.org/sites/default/file/archivalcollections/pdf/2379.pdf Digitization Digital photographs can be made of images by permission of the archivist. Check finding aid for permission information. Cafe Cino ephemera Materials, including correspondence, documenting the Caffe Cino, a coffee house and off-off Broadway theater in Greenwich Village, New York, N.Y. Finding Aid http://catalog.nypl.org/search~S1?/tcaffe+cino/tcaffe+cino/1%2C5%2C6%2CB/frameset&FF=tcaffe+cino+ephemera&1%2C1%2C Digitization Contact archive. Circle in the Square Papers, 1906-2004 Circle in the Square Theater was founded in 1950 by Theodore Mann and José Quintero in an abandoned nightclub in New York City's Greenwich Village. Circle in the Square founder and Artistic Director Theodore Mann, was born Theodore Goldman in 1924, in Brooklyn, New York. 1924. this collection consists of material relating to Circle in the Square's produced works, development material for unproduced works and abandoned projects, correspondence, administrative documents, financial and legal records, personal and office papers belonging to Libin and Mann, photographs, and other material relating to the day-to-day operation of a not-for-profit theatrical company. Finding Aid: http://www.nypl.org/archives/70512 Digitization: Contact archive. Max Eastman papers, 1916-1968, 1916-1921. The collection is primarily photographs of Eastman's silent film star friends, Charlie Chaplin and Florence Deshon. It contains drawings (undated and unidentified) by Chaplin, personal and family photographs including oneshe sent as Christmas cards (1968 and earlier), and negatives and prints from his The Kid (1921). The Deshon material consists primarily of photographs and clippings, particularly relating to her film, Jaffery (1916) with C. Aubrey Smith, and includes a letter from Smith and one (1919) from Samuel Goldwyn concerning her employment in his studio. The collection also contains photographs of Paulette Goddard and other film personalities, an Actors' Equity Benefit Program (1919) annotated by Eastman, and a copy of the Provincetown Plays (1916). Finding Aid: http://www.nypl.org/ead/4325 Digitization Contact archive. Greenwich Village Follies Several small collections on costume design for the revue Greenwich Village Follies include Charles Le Maire costume designs for the Greenwich Village Follies, 1925-1926, Alice O'Neill costume design for the Greenwich Village Follies, Robert Ten Eyck Stevenson costume designs for the Greenwich Village Follies, 1926, Greenwich Village Follies Designs, ca. 1920-1926 and undated, Herman Rosse set and costume designs for the Greenwich Village Follies, ca. 1920-1925, and the Gilbert Adrian costume designs for the Greenwich Village Follies. Digitization : Contact archives. New York Shakespeare Festival Records, 1954-1992 The New York Shakespeare Festival records (1954-1992) measure approximately 900 linear feet and consist of scripts, correspondence, inter-office memoranda, production materials, reports, financial records, photographs, and memorabilia. The records reflect the origin and activities of the New York Shakespeare Festival,its general administration, and the staging of its productions, including their creation, management, booking,and promotion. Finding Aid: http://www.nypl.org/archives/4572 Digitization: Contact archive. Minute book of the Provincetown Players, Inc., 1916 Sept. 4-1923 Nov. 16 Called the first minute book; contains constitution, resolutions, meeting minutes, membership lists, correspondence and financial reports, both typed and handwritten. A theatrical organization founded by a group of writers and artists whose common aim was the production of new and experimental plays, the Provincetown Players began performing in 1915 in members' homes in Provincetown, Mass. In 1916 the Players took up residence in Greenwich Village, NY and launched the career of Eugene O'Neill with a production of his Bound East for Cardiff. Finding Aid: http://www.nypl.org/archives/4921 Digitization Contact archive. Avery Willard photographs, 1919-1933 (bulk) Photographer, filmmaker, publisher, performer, and gay activist, Avery Willard enjoyed taking photographs of his fellow actors and he used his apartment just off FifthAvenue as a studio. Willard was most active as a photographer from the late 1940s through the 1960s. His work included portraits of many aspiring and famous actors,actresses, musicians, and dancers, as well as photographs of theatrical productions. Many of Willard's photographs of Off-Broadway productions appeared in the theater annual,Theater World. Sometime following the Stonewall uprising in Greenwich Village in 1968, under the name Bruce King, Willard began producing a newspaper, Gay Scene, which he published until1992. The Avery Willard photographs consist primarily of prints,proofs, contact sheets, negatives, oversized prints, and slides, spanning Willard's professional photography career. Most of the photos were taken from the late 1940sto the 1960s and cover a range of subjects. Finding Aid http://www.nypl.org/archives/4745 Digitization: Contact archive. Northern Dispensary Records The Northern Dispensary was founded in 1827 by a group of private citizens to provide medical care for poor and indigent persons in the northern boundary of Manhattan. In 1831, the Dispensary first occupied its quarters, an historical landmark building on Christopher Street and Waverly Place, in Manhattan’s Greenwich Village. The records consist of bound volumes of Board of Directors Minutes, annual reports, and financial records, as well as resume synopses of physicians applying for positions at the Dispensary, a register of Trustees and other visitors to the clinic, and graphical images documenting the building and clinic personnel and officers. Finding Aid: available at archive Digitization You can scan documents from this collection by appointment. Check finding aid for permission information. Washington Square Association records, 1908-1979 The Records of the Washington Square Association cover a 75 year period and demonstrate a strong commitment to civic organizing. The Association organized community events and addressed zoning, traffic issues, and housing issues These efforts brought the Association into close contact with numerous municipal agencies such as the Departments of Transportation, the Parks and Police Department, the Board of Estimate, and New York University, Community Planning Board #2 and a number of Historic preservation organizations. Overall, the Association's records reflect the history of a changing urban neighborhood. Finding aid: [http://dlib.nyu.edu/findingaids/html/archives/washsq.html] Digitization: You can scan documents from this collection by appointment. Check finding aid for permission information. Washington Square Park and Washington Square Area Image Collection, 1850-1990 This collection contains images of Washington Square Park (New York, N.Y.), the Washington Square area (below 14th Street, above Houston St.) and the old University Building (1832-1894) from the New York University Archives photography collection. Almost all of the images are black and white gelatin silver prints, although a few are Polaroid photographs, color c-prints, or drawings. A number of the photographs are prints made from copy-negatives of original photographs, drawings or art prints. Many of the photographs were created by the New York University's Photo Bureau to document the University's geography and cultural life, and they provide evidence of the history of the Park and the surrounding area from the early 1800s through the 1990s. Finding Aid: **Digitization:** Many images from this collection are already [*http://dlib.nyu.edu/findingaids/html/archives/washsquarephoto.html digitized as part of a pilot project, you can copy digitized files and create lower-resolution files for use in the digital archive. You may scan images that have not been digitized by appointment. Check finding aid for permission information. Bayrd Still Collection From 1947-1987, Dr. Bayrd Still served New York University as an historian, archivist, teacher, and administrator. As an authority on urban history and urban development, Dr. Still’s interests and commitments also involved landmark preservation in New York City. The bulk of the collection documents Still’s professional life at New York University. In addition, the collection contains correspondence, published and unpublished articles and speeches, historical research documentation, and information regarding Still’s professional associations and early career. The collection also reflects Still’s involvement with the New York City Landmarks project from 1957-1983. Dates covered include 1947-1979. Finding Aid: [http://dlib.nyu.edu/findingaids/html/archive/still.html] Digitization: You can scan documents from this collection by appointment. Check finding aid for permission information. New York University A major topic is the relationship between the Village and the University, which can be documented using many collections at the University Archives. 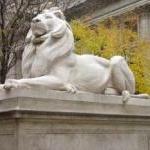 Finding Aid: [Browse finding aids http://dlib.nyu.edu/findingaids/search/?q=new+york+university&collectionId=archives&start=0] Digitization: You can scan documents from this collection by appointment. Check finding aid for permission information. Ruth Wittenburg Papers Ruth Wittenberg, a long-standing community activist, served on a number of civic organizations concerned with the Washington Square neighborhood. These papers concern Washington Square Park and concentrate on the 1960s and 1970s, when the park was renovated.They include material related to the work of the Planning Board and the Architects Committee, documents of other Park organizations, including the Washington Square Association and the Washington Square Playground Council, and newspaper clippings about the park and its renovation. Finding Aid http://ezproxy.library.nyu.edu:4359/eadapp/transform?source=archives/witten.xml&style=archives/archives.xsl Digitization You can scan documents from this collection by appointment. Check finding aid for permission information. Actors’ Equity Association: Records The Actors’ Equity Association (AEA) is the labor union of professional theatrical performers and stage managers. It was founded in 1913 but did not gain full recognition as the bargaining agent for actors until the historic strike of 1919. The AEA negotiates contracts and agreements, arbitrates contract disputes, regulates the importation of alien actors, regulates charges by theatrical agents, provides a pension plan and welfare fund, and otherwise assists the theatrical industry. The Archives holds Actors’ Equity records for the period 1913-1980s; this guide describes records covering the first seventy-six years of the union’s history, including constitutions, by-laws and rule books; early records, 1913-1929; general files, 1930-1989; membership files, contract files, claims files, and correspondence with other unions, guilds and federations. Finding Aid: http://dlib.nyu.edu/findingaids/html/tamwag/aea.html Digitization: Tamiment staff will make scans for students. Allow 3 weeks to receive scans. Fees will be waived for scans for the course. Check finding aid for permission information. Greenwich House Records In 1902, Mary Kingsbury Simkhovitch and others founded Greenwich House, a social settlement house in the Greenwich Village section of New York City. It was incorporated that year as the Cooperative Social Settlement Society of the City of New York. Greenwich House established social service and cultural programs for the largely Italian population of Greenwich Village. Greenwich House continues to offer an array of cultural, educational and social service programs. The records contain minutes, reports, correspondence, publicity material, program files, financial documents, publications, scrapbooks and 36,000 index cards detailing the activities of Greenwich House. Extensive correspondence of Mary Simkhovitch covers, in addition to House activities, such topics as political reform and public housing, as well as her unsuccessful 1937 campaign for the New York City Council. Finding Aid: http://dlib.nyu.edu/findingaids/html/tamwag/greenwich.html and http://dlib.nyu.edu/findingaids/html/tamwag/greenwich_photo.html Digitization: Tamiment staff will make scans for students. Allow 3 weeks to receive scans. Fees will be waived for scans for the course. Check finding aid for permission information. Printed Ephemera Collection on Organizations The collection consists of flyers, broadsides, leaflets, newspaper clippings, pamphlets, press releases, programs and other printed ephemera arranged alphabetically by organization. Organizations represented are political, anti-war, legal, student and radical in nature. Examples, including the Black Panthers, Workers' Defense League, American Labor Party, Social Democratic Federation of America and New England Free Press, demonstrate the depth and variety of this collection. As many of the organizations were organized for a specific purpose, some have very short date-spans and the folders will contain end date. For other organizations, dating is often times open-ended as material is continuously added to the collection, i.e., there will be a beginning date and no end date. Finding aid: http://dlib.nyu.edu/findingaids/html/tamwag/pe_org.html Digitization: Tamiment staff will make scans for students. Allow 3 weeks to receive scans. Fees will be waived for scans for the course. Check finding aid for permission information. Rand School of Social Science Records The Rand School of Social Science (1906-1956) , a school for workers and socialists which was associated with the Socialist Party, and after 1936 with the Social Democratic Federation, offered a variety of courses on contemporary topics, traditional subjects and socialist theory taught by intellectual leaders of the socialist movement, distinguished academicians and trade union leaders. In 1917 the Rand School purchased a six story building at 7 East 15th Street, that had an auditorium, a library, classrooms, and office space which was utilized by several socialist organizations. In a climate of anti-radical feeling after World War I, the Rand School came under attack by the Lusk Committee, created to investigate radical activities in New York. After a series of court cases the Rand School retained control of its operations, and programs and enrollment increased. Shortly after World War II, courses and enrollment decreased sharply. In January 1956 the Board of Directors of the American Socialist Society closed the Rand School and transferred the title of the school and its building to the People's Educational Camp Society, the governing body of Camp Tamiment, a successful workers resort which had long provided the majority of the School's budget. The collection contains correspondence, mostly of the chief executives of the school; minutes of the school's Educational Council; student term papers; internal memoranda on reorganization plans for the school; material relating to the school's publications, including Institute of Social Science Bulletin (1951-1955), including correspondence and manuscripts from contributors; course records; reports, monographs on topical issues, and transcripts of lectures and debates; the records of the school's Labor Research Department, which published American Labor Year Book from 1916-1932; records of American Labor Archive and Research Institute, founded in 1941 to preserve documents of the European and American labor movement; and financial and bookstore records Finding aid: http://dlib.nyu.edu/findingaids/html/tamwag/rand.html Digitization: Tamiment staff will make scans for students. Allow 3 weeks to receive scans. Fees will be waived for scans for the course. Check finding aid for permission information. Squatters' Rights Collections Thirteen small collections document individuals prominently involved in the 1980s squatters' rights movement in New York City's East Village which culminated in Tompkins Square Park Police Riot of August 1988. Finding Aid:*http://dlib.nyu.edu/findingaids/search/?q=squatters%27&collectionId=tamwag **Digitization: Tamiment staff will make scans for students. Allow 3 weeks to receive scans. Fees will be waived for scans for the course. Check finding aid for permission information.